Australian Business Growth Fund will significantly enhance access to funds for small business across the country by providing long term equity funding. Security – businesses find it difficult to obtain finance other than on a secured basis – typically, against real estate. Additional Funding – small businesses that have already obtained finance secured against real estate, but wish to continue to grow, also find it difficult to access additional funding. Control – Many small businesses find it difficult to attract passive equity investment which enables them to grow without taking on additional debt or giving up control of their business. To overcome this and ensure that small businesses are able to fulfill their potential and continue to underpin economic growth and employment, the Australian Business Securitisation Fund will invest up to $2 billion in the securitisation market, providing significant additional funding to smaller banks and non-bank lenders to on-lend to small businesses on more competitive terms. The Australian Business Securitisation Fund a Federal Government backed fund that aims to increase competition in small business lending by boosting alternative lenders. It will be administered by the Australian Office of Financial Management (AOFM), consistent with their prior involvement in the Residential Mortgage Backed Securities Market in 2008. The Australian Business Securitisation Fund will purchase secured and unsecured loan packages from smaller banks and non bank lenders, which will then lend to small business in order to create a level playing between small businesses and the country’s largest lenders. 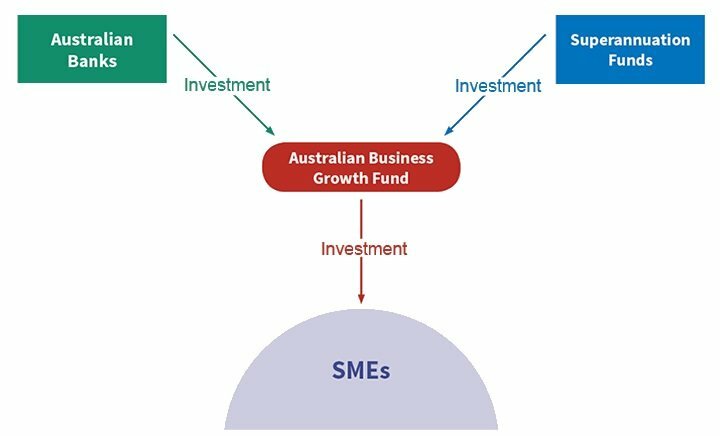 The Australian Business Securitisation Fund news comes after the publication of the Affordable Capital for SME Growth by the Australian Small Business and Family Enterprise Ombusdman, which identified a major funding gap for Australian SMEs to start or grow their business. Australian banks and superannuation funds will inject equity capital into the Australian Business Growth Fund which in turn invests in Australian small businesses. The Australian Business Growth Fund is expected to follow similar international precedents. By way of example, since its establishment in 2011, the United Kingdom’s Business Growth Fund has invested some $2.7 billion in a range of sectors across the economy. A similar fund has not emerged in Australia, in part, as a result of the unfavourable treatment of equity for regulatory capital purposes. While the exact detail has not been announced, Bulletpoint has provided an indication below. Australian Business Growth Fund views investments as partnerships. As a minority equity investor, the teams that the Australian Business Growth Fund invests in and the relationships they build with them are fundamental to the Australian Business Growth Fund’s collective success. When the Australian Business Growth Fund invests, they take a long-term view and treat the relationship seriously from day one. The Australian Business Growth Fund are diligent and methodical, but strive to be pragmatic and collaborative to keep companies focused on their operations. 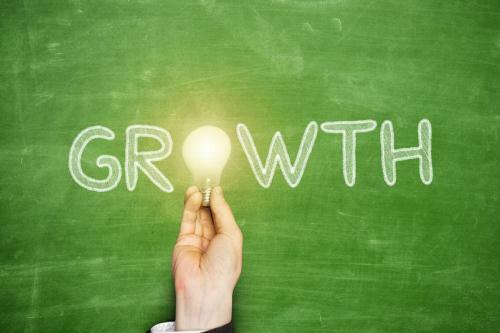 The Australian Business Growth Fund seeks to invest between $3 million to $20 million in dynamic mid-market companies with $5 million or more in annual revenue, a demonstrated growth trajectory, and a clear vision for accelerated growth. Australian businesses will be able to access the Australian Business Growth Fund at the end of 2019. Structure – the fund structure allows them to take a long-term and patient approach with their investments. They can provide follow-on capital as needed and seek to exit at the right time for all shareholders. Control – the Australian Business Growth Fund focuses exclusively on minority positions, and their approach provides entrepreneurs with a collaborative, value-added partner – not a controlling shareholder. Network – With support from Australia’s leading financial institutions, The Australian Business Growth Fund offers access to a powerful knowledge network, mentorship from our talent network, and a unique opportunity to collaborate with like-minded entrepreneurs within Australian Business Growth Fund’s portfolio. Responsiveness – The investment team moves quickly to provide a clear indication of their interest in pursuing a potential investment. Their term sheets provide clarity on value, terms, and timing. What is your name and contact details? What industry sector is the business in? Tell us a bit about the business and why you’re looking for funding? What is the company profit? What is the expected growth rate over the next 3 years? What has been the source of funding to date? Are you an ambitious company looking for growth funding? We want to meet you. If it’s the right fit, we can help you with the capital and resources needed to achieve your goals while providing long-term alignment around control, strategy, and exit horizon. If the fit isn’t right, we’ll still respond quickly and provide you with ideas on alternative solutions like a government grants or start up funding.